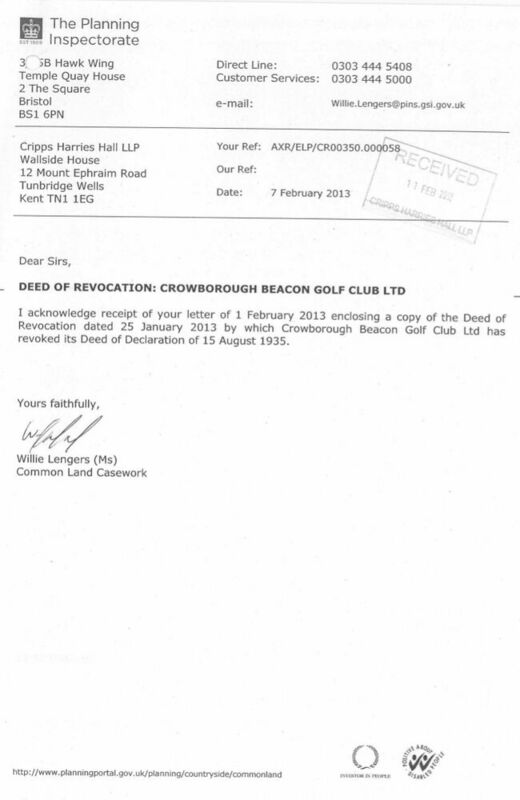 Crowborough Beacon Golf Club as owners of the freehold title to “the Waste of The Manor of Alchornes” more popularly known as “Crowborough Beacon Golf Course” or “Crowborough Common” hereby give notice that on 1st February 2013 they served a notice to (DEFRA) to revoke the M.A.F. Order No. 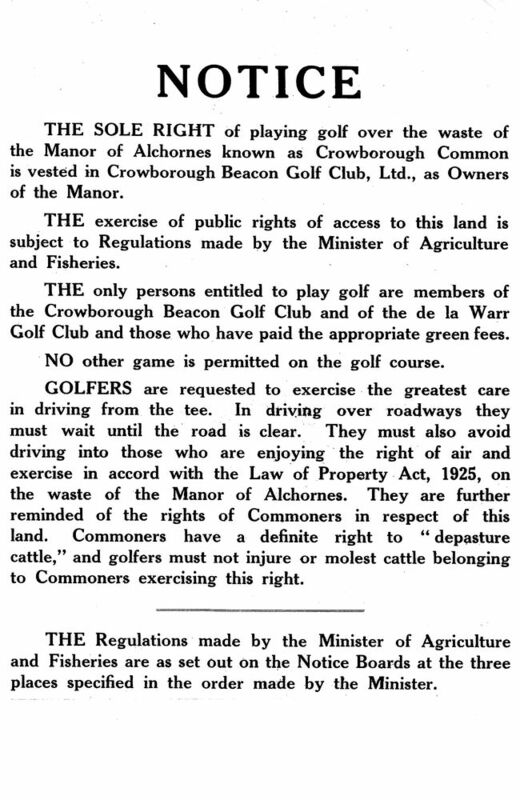 3/133 dated 20th March 1936 which governed the public’s rights to exercise on The Common. (DEFRA confirmed the revocation of the rights on 7th February 2013). 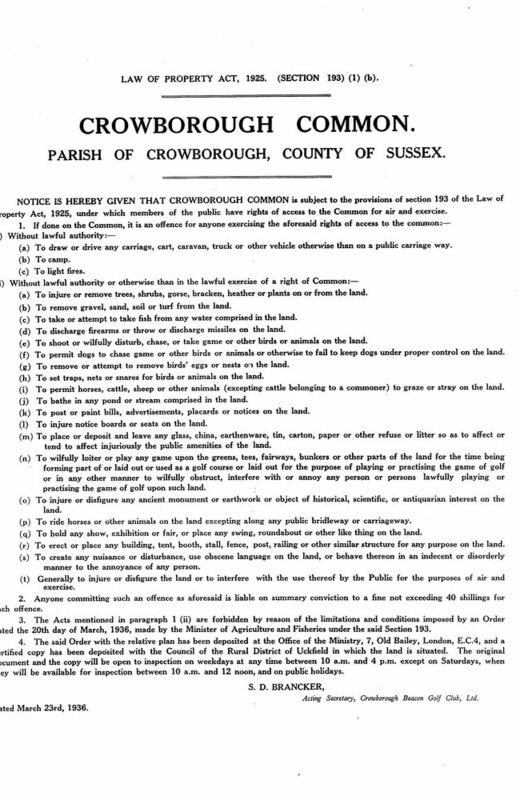 The rights of the public are now governed by the Countryside and Rights of Way Act 2000 (CROW). However, Schedule 1 – Excepted Land for Purposes of Part 1 – 7, shows that Land used for the purposes of a golf course, racecourse or aerodrome are excepted from “the right to roam” (for obvious Health and Safety reasons). 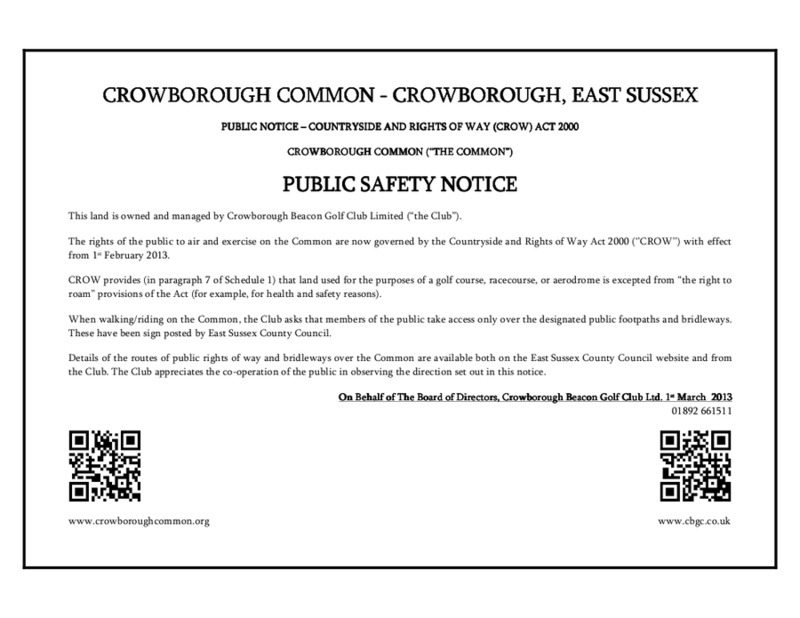 Consequently, the public are advised that when walking/riding in the vicinity of the areas of The Common where golf is played, access should only be taken over the designated footpaths and bridleways and at all times be aware of any potential hazards such as flying golf balls, hidden ditches, etc.